We travel often for business and leisure and we need on-the-road internet connection to either check work emails or tweet/instagram beautiful scenery or yummy food photos. Data roaming is very expensive and we have all heard of our fair share of horror stories of Singaporeans clocking out thousands of dollars because they watched a 5-minute Youtube video while accidentally connected to their telco 4G data roaming network instead of the hotel’s Wi-Fi. Hotel Wi-Fi can be quite expensive especially for hotels catering to business travellers – Wi-Fi is typically not included as part of the room rate or is so slow (512 kbps and below) that you are tempted to upgrade to a high speed version. There are many options to get data on-the-go while travelling such as getting local data SIM cards e.g. dtac Tourist SIM card in Thailand and Celcom Traveller SIM card in Malaysia but I find it quite challenging at times to find local telco shops in some countries like in some parts of USA. Some countries’ telco plans are not as tourist-friendly as the Thai and Malaysian examples I highlighted above e.g. their mobile data plans require monthly subscriptions or you have to be a local resident to sign up. Sometimes, we need mobile internet almost as soon as we touched down so as to finalise hotel pick-ups, restaurant reservations, tour bookings so personally I would prefer if all the administrative matters to do with securing data on-the-go was settled here in Singapore instead of a foreign land. 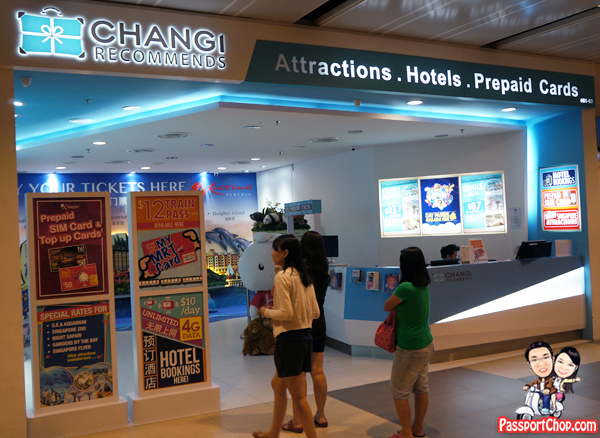 That’s why I thought the mobile Wi-Fi router rental services provided by Changi Recommends was an excellent idea in terms of convenience and affordability. You reserve your mobile Wi-Fi router online at http://www.changirecommends.com/overseas_wifi_form.aspx and collect the router at one of three Changi Recommends booth at Changi airport and upon your return from your trip, return the router at the booth and pay for it – very simple and all administrative matters to do with the router settled in Singapore and I have internet the moment I touch down at the airport overseas. Changi Recommends’ mobile Wi-Fi router is lightweight and portable(fits within your palm!) and taps on the local high speed 4G network. You can share your Wi-Fi connection with up to 8 devices – if you are travelling with your friends, you can even split the cost to make the rental even more affordable e.g. if you are travelling in a party of 4 for a holiday in United States of America (say the Los Angeles – Las Vegas – San Francisco route), you can share the per day rental cost of S$12 and the trip (from departure from Singapore to arrival back at Singapore) is 14 days long, then each of you will pay just S$42 for 2 weeks of high speed internet you can use anywhere – while on a long drive from Los Angeles to Las Vegas, waiting at the airport for your flight from Las Vegas to San Francisco, in your hotel room etc. The sharing of Wi-Fi connection is the part that beats local SIM data services and services like Singtel DataRoam Saver Plan (or the likes) hands-down. 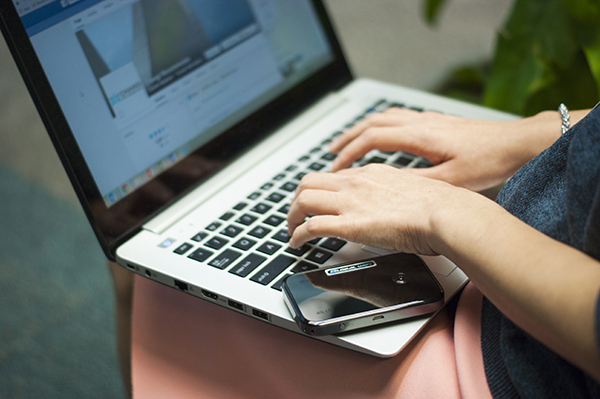 No need to switch between SIM cards or fuss with multi-SIM devices just to get internet on your phone. Just press the “on” button on the Wi-Fi router device and you (and your friends) are good to go. 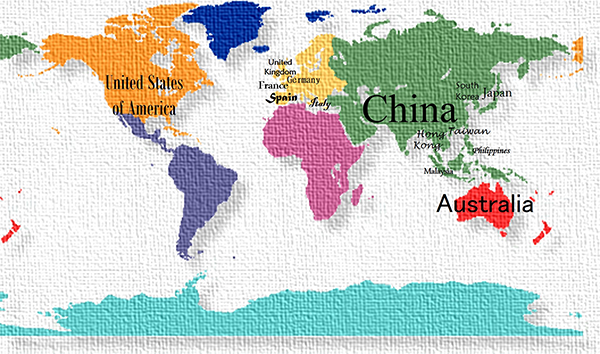 The rental rates are quite affordable especially for USA – just S$12 per day and it covers all the 50 states of USA! The rental rates for European countries i.e. UK, Spain, Italy, France and Germany are more expensive at S$25 per day. 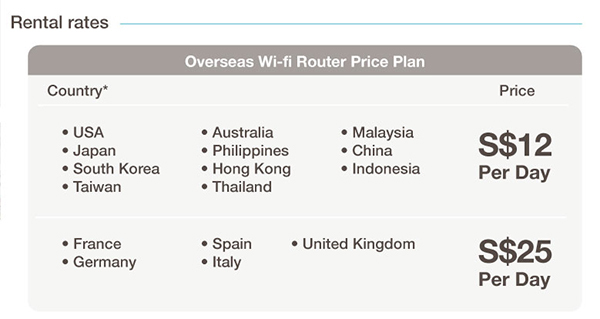 Perhaps the only downside for Changi Recommends Wi-Fi rental service (and I think this applies to other competing Wi-Fi rental services too) is that there is no multi-country plan i.e. if I am to travel to Europe for holiday for 2 weeks or more, I will likely cover more than one country – I will probably do a UK – France – Germany – Italy route for a 3 week to a month long vacation so it would be ideal if there is a Wi-Fi router rental service that is able to cover all these regions for a reasonable daily fee. 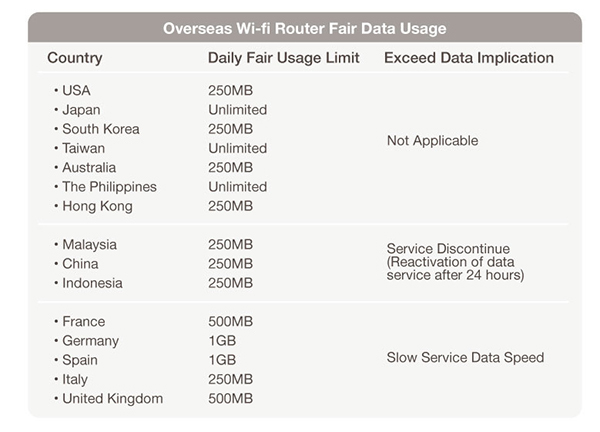 For some countries, there is a daily fair usage limit for the Wi-Fi router – 250MB is probably enough for emails. Do tone down on the Instagramming and Facebooking especially if you are sharing the connection with 3-4 other travelling companions. RESERVE – Simply reserve the Wi-Fi Router at https://www.changirecommends.com/owifi.aspx by completing the reservation form https://www.changirecommends.com/overseas_wifi_form.aspx at least three working days prior to the departure date. PRINT – You will receive a confirmation email (four working days) containing details of your reservation. Please print this document for your records. COLLECT – Pick the device from Changi Recommends associates at the Terminal you have selected in the reservation form. SGD 1 (refundable) will be held as authorisation on your credit card to ensure account validity. Register together with your passport, this acknowledges that the device is collected. 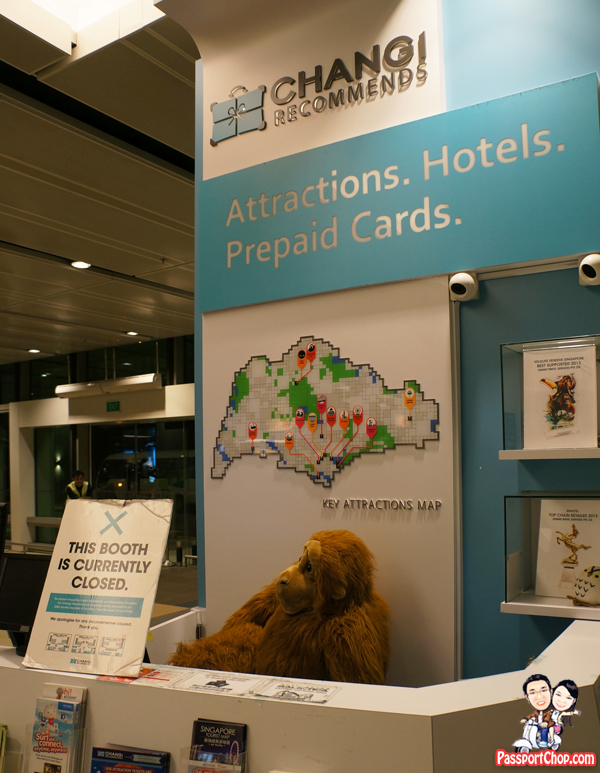 RETURN – Return the device to the designated Changi Recommends booth that you have selected in the reservation form. 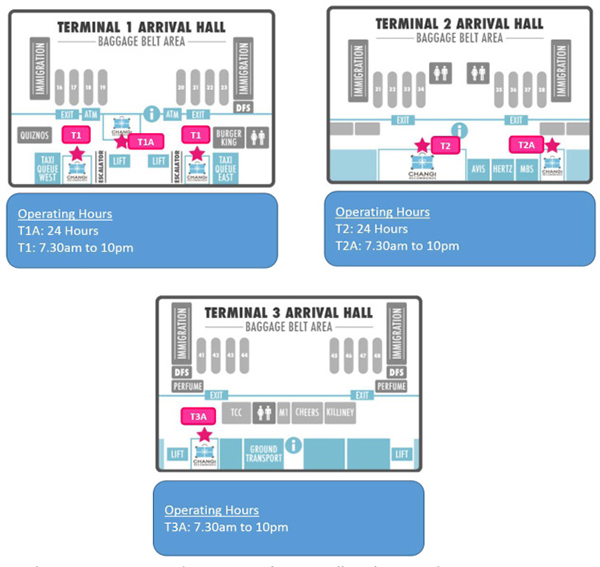 Here is a pictoral summary of the location of the Changi Recommends booth in the three Changi Airport terminals. Travellers can pick-up and return the Wi-Fi router at Changi Airport Terminals 1, 2 and 3 Arrival Hall as well as Terminal 2 Departure Hall. The counter at Terminal 2 Departure Hall opens from 7.30am to 10pm daily. This is what you might see if you are too late and the booth is closed. Don’t worry, there are other 24 hour booths at the arrival halls of Terminal 1, 2 and 3. 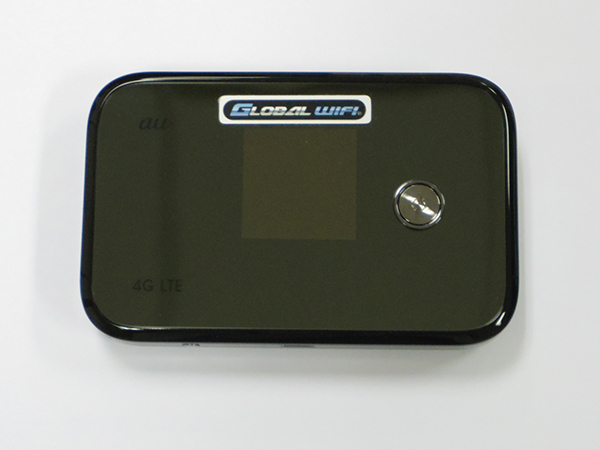 Does the said oversea wifi router need 4g SIM card ? no need to buy additional 4G Sim card. when you rent the router, it comes with the overseas mobile wifi service. Hi I am leaving for Bandung, Imdonesia on Mon 19 Sep 16 till Sat 24 Sep and wonder if I can purchase a sim card suitable for.indonesia for my Huawei pocket mobile wifi from the airport as I am leaving. Pl let me know soon via email. Thks. Using the router do i still have to pay for data charges? Hi. Wifi for Malaysia, can not upgrade up to at least 500 MB / day ?